There are a lot of moving parts and it's easy to make a mistake if you don't know what you're doing. I might change a light switch, but I would not swap out the breaker box in my house. I might represent myself but anything more than that, and I'd want an attorney. Navigate the twists and turns of the real estate transaction successfully. DC and Virginia all real estate agents represent the seller by default. That's the law. So if you work with the sellers agent, they cannot give you their full loyalty and highest level of care. Legally, they owe their allegiance to the seller and that means they are duty-bound to get the best price and terms for that seller, not for you. If you want someone to represent you, you have the right to hire your own agent someone to be on your team? That means you'll need to have a written agreement with that agent. included in the service being offered. Keep all of your confidential information private and give you the highest level of service that they can. There's no out-of-pocket expense for a buyer to have their own agent represent them. maximum market exposure to all of the potential buyers who are looking for a home like theirs. which is the database that all active real estate agents use to find houses for their buyers. Realtor.com and most of the other search engine sites out there. which most do then they'll know what their compensation is going to be right up front. Some homeowners try to sell their houses without the help of a real estate agent. My experience is that most for sale by owners are perfectly willing to pay a buyer's agents compensation. They're just trying to save paying the sellers agent side. everyone's on the same page about what's going to happen. So you've decided that you want an agent to represent you, how do you pick the best agent for the job? 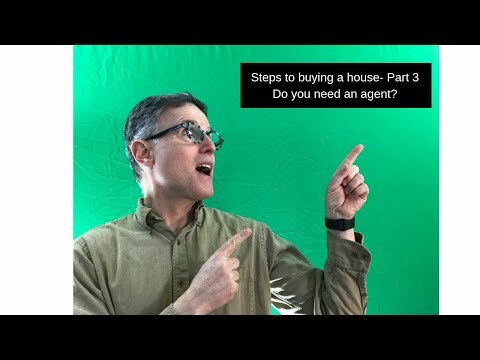 That will help you decide which agent would be the best one for you. How many buyers do you represent each year? then they might not be the best choice to represent you. agent to help you with the offer and so forth. Having one point of contact from the beginning to the end can help to make the process smoother and less stressful for you. Question number three. Are you full-time or part-time? There are a lot of part-time agents out there. Question number four. Do you have any current reviews or testimonials? they provide, and see if they sound like someone who you'd like to work with ; somebody who'd be a good fit for you. You're going to be spending a lot of time together and sharing a really important transition in your life. so you want to make sure that everybody is a good fit. So that's part 3 of my series on how to buy a home in the DC metro area.